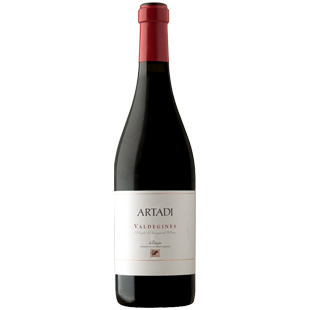 "Since 2014, all of Artadi's wines have been sold without appellation of origin, but their origin is, of course, Rioja, as most of the vineyards are in Laguardia or in the nearby villages. The 2015 Valdeginés fermented with indigenous yeasts in open-top vats like before, but the time in barrel was shortened to nine months (from 12). The year was dry and this is a little warmer. The fruit feels quite forward and black rather than red, without the tannic structure of the 2014s. They are very different vintages. There is some more lightness on the finish here, and I had difficulties deciding which one I preferred. The truth is that 2014, 2015 and 2016 are very good vintages for Artadi. 2017 has been more difficult, and the wines feel a little tannic from the lack of rain. 13,000 bottles produced."